Israeli settlers are further encroaching on Palestinian territory by moving into areas under the pretext of protecting historical archaeological sites, the British government has said. UK ministers say they are concerned the move by “radical” settlers is undermining efforts for peace in the region. Conservative Foreign Office minister Baroness Anelay told the Independent: “We are aware of the link between the Elad [settler] group and the Israel Antiquities Authority. We are concerned that this link has led to Israel Antiquities Authority’s support of radical settler activities in and around the Old City under the guise of tourism and protection of Jewish history. Baroness Anelay replaced Baroness Warsi as a Foreign Office minister last year, after Lady Warsi quit the government in protest of its “morally indefensible” policy on Gaza. The Elad settler group is known for aggressively laying claim to Palestinian areas. Israeli Elad and the Jewish National Fund often work together to colonize Palestinian neighborhoods in East Jerusalem and evict Palestinians. They are both registered charitable organizations in the US. In January last year, Reuters reported that Israeli settlers were excavating in the West Bank in search of the first palace of King David. The dig is aimed at turning the site into an archaeological park, but Palestinians see the move as a grab for land and influence. In October last year, Jewish settlers working with Elad took over 25 apartments in Silwan, a Palestinian neighborhood in occupied East Jerusalem. This was the largest takeover of Palestinian property in East Jerusalem in decades and has further increased tensions in the city. In one instance this month, a Palestinian woman and her children living in an apartment building in Silwan were summoned to a local police station. While they were away, settlers from Elad moved in, removed the family’s belongings and took possession of the building, Haaretz reports. The building is close to the City of David national archaeological park that Elad administers. 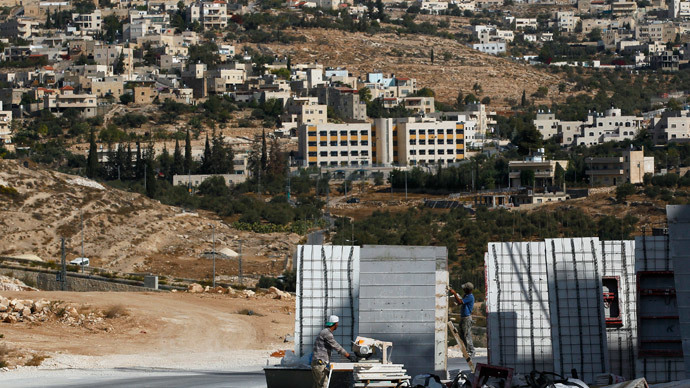 Israeli settlements are illegal under international law and the United Nations has repeatedly urged Israel to vacate occupied Palestinian territory. Israel’s Prime Minister Benjamin Netanyahu pledged this month during the country’s general election there would be no Palestinian state, although he later recanted his statement.